81/100. 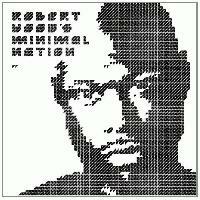 Minimal Nation is a testament to the mantra "less is better"--- indeed, Hood uses an incredibly restrained toolbox on this LP, using the bare minimum (hence the name) to create compelling techno. The results are impressive; each track has great structure and progression, keeping things interesting somehow despite the limited number of tricks Hood pulls out.